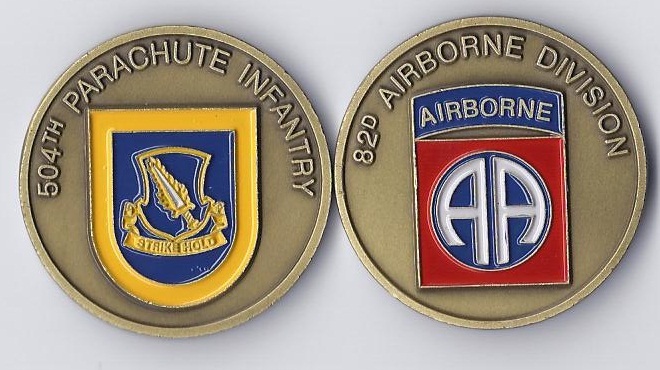 Struck in brass and brushed with an antique bronze finish, this coin’s deep-relief design is achieved through the use of special “splash” dies, which allow certain elements to protrude from the coin’s surface. 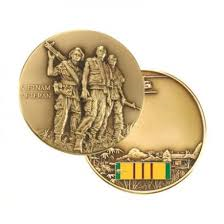 This coin pays tribute to the courage and dedication of the all those who served in Vietnam. The obverse features a deep relief rendering of the Vietnam Veterans Statue, located on the National Mall in Washington, D.C.